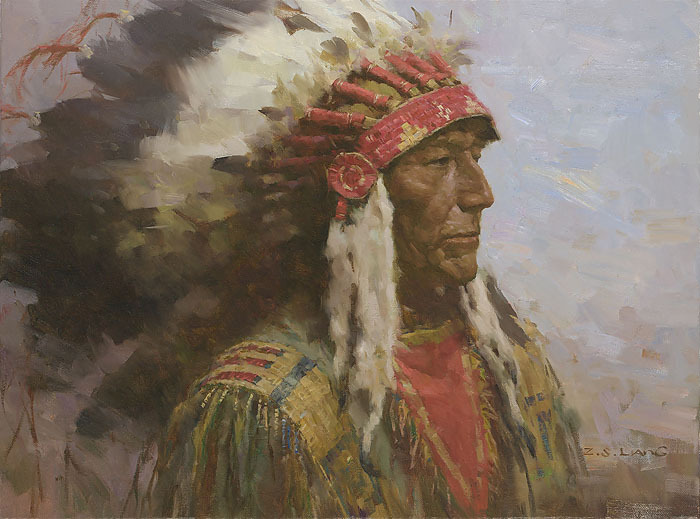 At the heart of Liang’s fascination with the American Indian is his respect for a people who fought hard and long against overwhelming odds to hold onto their freedom and their way of life. In this painting, he presents a man of dignity and pride, earned through experience. He exudes a resolute and ascendant strength of character often found in great leaders of men.